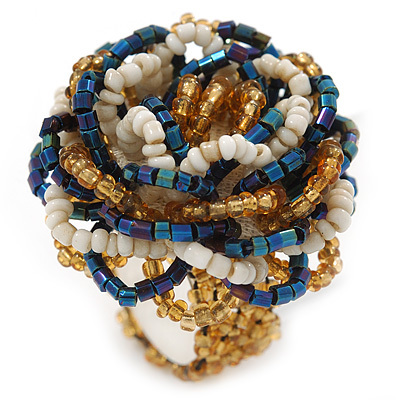 Featuring a layered flower design, made of small white, light brown and chameleon blue glass beads. The head of the ring measures about 4cm in diameter, and the elasticized band about 13mm in width. Bold and stylish, this cocktail ring is perfect for gorgeous style day or night.